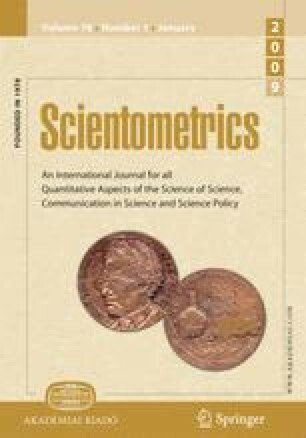 This article introduced two sampling methods, including Directly Random Sampling (DRS) and Redistributed Random Sampling (RRS) methods for categorization of a large number of research articles retrieved from metallurgy and polymer subfields from the Science Citation Index (SCI) database. The accuracy of the proposed sampling methods was considered in association by comparing with reference results previously obtained by Fully Retrieving Sampling (FRS) method, which involved analyzing the contents and categories of all articles from the database. The results suggested that RRS and DRS methods were appropriate, efficient and reasonably accurate for categorization of relatively large volume of research articles. RRS method was highly recommended, especially when the contents of sample articles was unevenly distributed. By DRS and RRS methods, only about 6.3% of total articles were required for obtaining similar results as those given by FRS method. The percentage Expected Worst Errors (EWE) from DRS and RRS methods were observed to range from 1.0 to 5.5%. The EWE value could be reduced by increasing the sample size.